Do you know that bloggers from all over the world create more than 2 million posts every day? This statistics is shocking, isn’t it ? No wonder that you need to put a lot of effort to write an article, which will stand out from the crowd. You should continuously improve your writing skills and develop creativity to produce high-quality content. If you want to know how to attract reader with only one post, check the following tips. There are a lot of blog posts similar to yours on the world wide web, so if you want to attract your readers, your title must be very catchy. It should drive curiosity and encourage users to click the link. Which article would you like to read: “Rules of blogging” or “10 effortless ways to get paid for blogging on WordPress”? It’s more likely that you would choose the second option. “Sweet” promise – Get paid. It’s pretty easy to grab the audience attention with an article, which covers the trending topic. You should always watch the changes, which happen in your specific niche and in the world. You should regularly check content, which is trending on Twitter, Instagram, Facebook, and LinkedIn to get an idea about the current interests of your target audience. Moreover, you should identify your major competitors and analyze their activity. If you know topics they usually discuss and details they pay the most attention to, you will be able to incorporate improvements into your content strategy. The worst thing you can do is to rewrite someone else’s article. As a consequence, not only readers but also Google will punish you for plagiarism. Keep in mind that modern users value unique content, which is not widely available. They don’t want to read a copy of the article, which they have already read on another blog. For this reason, you should teach yourself to think critically and be able to present brand new ideas on any subject. If you want to write a great post, which will grab the attention of your audience immediately, you should start your work from a research. You should look through different industry reports, statistical data, and scientific studies. Only if you have read information collected from at least 10 reputable sources, you can express your objective point of view. Your blog post is not a monologue, it’s a dialogue between you and your target audience. You can ask the questions and answer them just like if you would try to explain a new topic to your close friend. And yes, it’s not necessary to write every sentence in 3rd person. You should use only simple words, which your readers will understand. Slang and jargon words are inappropriate if the target audience is not familiar with them. Make sure that you and your readers speak the same language. The one more aspect you should take into account is search engine optimization. You need to follow SEO rules to make sure that your article will be ranked high on Google. The higher your post is placed on the search results page, the more readers will visit your blog. Google loves blog posts, which have a clear structure, so you should divide your text into the sections and use relevant subheadings. Sentences should be pretty short: 15-22 words is a perfect length. Also, it’s a good idea to create bulleted lists and to write a blog post in an active voice. A picture is worth a thousand words, and it’s a truth! Scientists say that 90% of the information, which people receive from the outside world, is visual and that human’s brain process images in 60,000 faster than textual content. For these reasons, your blog post must contain at least one picture. Your article will reach a wider audience if you add a few relevant pictures, charts, graphs, or screenshots. In case you need to present a very complex subject, you should create the infographics to help your readers to catch the main idea of your message. According to the recent market reports, the video is becoming a new king. For this reason, you should also add this type of content on your blog, where it’s possible. The last, but not the least important factor of success is a perfect grammar. If you ignore proofreading, it’s likely that your texts will be full of spelling mistakes and random typos. Even if you attract readers to your blog, they will leave as soon as will understand that quality of content leaves much to be desired. So, if you want to retain your readers, you should spell-check your blog posts at least two times before publishing them. If you need some help, you can check online editing services reviews and find a professional proofreader, who will assist you. Competition among content creators is pretty tough. 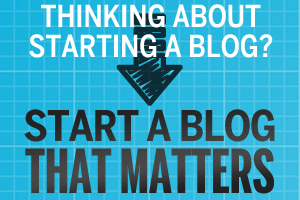 For this reason, you should ensure the high quality of every post to keep your blog afloat. You should use your background knowledge, your writing skills, and your creativity to present information in a new interesting and engaging way. You should work hard to transform every ordinary post into a masterpiece of the digital content. Daniela McVicker is a passionate digital marketer. Daniela is interested in everything related to SEO and blogging. She collaborates with Grab My Essay and Top Essay Writing where she shares her experience and helps marketers make their name in the online world.